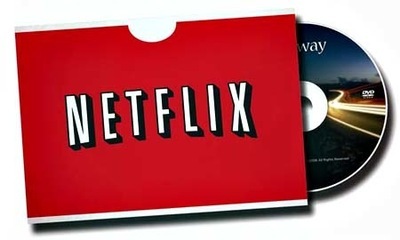 If users of Netflix services paid up to 10 dollars per month until now for watching movies online or renting DVDs by mail, now the monthly fee is going to be 60 percent higher. Netflix raises prices and separates the two services, according to Associated Press. Up until this moment, Netflix Inc. has been selling one package including two services – renting DVDs by mail and watching movies online – at a price of 10 dollar per month. Now, the company has made the decision of splitting the package into two. The clients have the possibility of opting for only one of the services, which will be cheaper that the original price: 8 dollars monthly, instead of 10. But if they want both services, than they will pay up to 16 dollar a month. So, let’s see what this really means. If you want to watch movies online, you pay a monthly fee of 8 dollars. If you don’t ever benefited from the possibility of renting DVDs (one at a time), then you will be happy about keeping 2 dollars in your pocket. If, however, you want to rent DVDs as well, then you will pay 60% more than the initial price of 10 dollars. For people wanting to rent two DVDs at a time, the price raises with 33 percent, up to 20 dollars per month. And those of you wanting to rent 3 DVDs per month, will pay 24 dollars, which is 20 percent more. This plan brought Netflix more clients wanting to rent more than one DVD at a time, as it was more efficient. This is the second time in eight months that the company raises prices. The vice president of marketing at Netflix, Jessie Becker explains that the separation of the entertainment options couldn’t have been done by maintaining the same price. According to him, maintaining an 8 dollar price for one service and adding just 2 dollars for the second one “neither makes great financial sense nor satisfies people who just want DVDs”.